Our well-established Chino location has merged with Health Service Alliance(HSA) and the Chino location is now the Behavorial Health Division of Chino Valley Community Health Center(CHC). Chino Valley Community Health Center provides behavioral health, primary care and pain management services, all under one roof! We are excited to be a part of this project and know this will allow us to serve more people and approach whole person care in the best way we can. You can still make an appointment at the same Chino location, but please call the Behavioral Health Division for CHC to do so. We are still committed to providing excellent care and coordinating with the other Foothills locations as appropriate and authorized by you, our clients. Therapeutic Orientation: Cognitive behavioral and Family Systems. Modality: Individual therapy, Family therapy, Couples Therapy. Specialties: Stress management, Life transitions issues, Relationship issues, Depression, Anxiety, Divorce or separation, Gender identity issues, Loss or grief, Women issues, Trauma or PTSD, Spiritual issues, Parenting issues, Impulse Control and anger issues. Theoretical Orientation: Psychodynamic, Cognitive behavioral, Family Systems. Modality: Individual therapy, Couples therapy, Family therapy. Training at UC Davis in Psychology and Azusa Pacific University as a Psychiatric Nurse Practitioner, Mr. Glasser has a history of working in psychology for over 12 years working in a variety of settings with special populations including developmental disabilities, and adults and children suffering from Mood Disorders, Anxiety Disorders, Attentional Disorders, Autistic Disorders, and Schizophrenic Disorders. Specialties: Relationship issues, Depression, Infertility or adoption, Anxiety or fears, Child or adolescent issues, ADHD or ADD, Divorce or separation, Loss or grief, Parenting, Chronic pain or illness, Eating disorders, Obsessive compulsive disorders, Trauma or PTSD, Psychotic disorders, and trichotillomania. Theoretical Orientation: Family systems, Cognitive behavioral, Psychodynamic. Modality: Individual therapy, Couple therapy, Family therapy, Directive and non-directive play therapy. Dr. Lane is a Touro University College of Osteopathic Medicine graduate and Loma Linda University trained medical professional who completed his residency at the Behavioral Medicine Center in Loma Linda, CA. He practices as an Adult/General Psychiatrist and treats patients aged 7 years of age to 70 years of age. 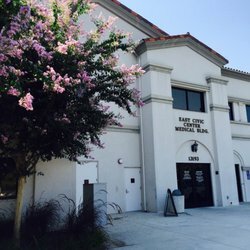 Dr. Lane works at our Former Chino office location, now HSA on Tuesdays and Thursdays and also practices at an alternate location (Haven Psychological) located in Rancho Cucamonga on Wednesday, Friday, and Saturday. You may schedule at either location by calling the Chino front office. Specialties: Trauma or PTSD, ADHD or ADD, Depression, Anxiety, Adjustment issues, Child/adolescent issues, Child abuse, Parenting, Domestic abuse/violence. Modalities: Individual, Group, Couples, and Family therapy. Specialties: Anxiety, Depression, Family/ Blended Family Issues, Parenting, Relationship Issues, Adolescent / Transitional Age Issues; Trauma /PTSD, and Psychotic Disorder Issues; Generational and Bicultural Issues pertaining to Latino-Americans. Theoretical Orientation: Cognitive Behavioral Therapy (CBT), Trauma-Focused Cognitive Behavioral Therapy (TF-CBT), and Dialectical Behavioral Therapy (DBT). Services provided in English, Spanish, or both. Specialties: trauma, anxiety, depression, bipolar, and other disorders. Theoretical Orientation: Cognitive behavioral, Attachment theory, Humanistic. Modality: Individual, couples and family. Specialties: Anxiety, depression and trauma. Specialties: Relationship problems, parenting concerns, divorce or separation, depression, anxiety, trauma, grief and loss, child and adolescent issues including ADD/ADHD. Theoretical Orientation: Family systems, Cognitive Behavioral, and Client- Centered. Modality: Individual, Couple’s, Family therapy, and Play therapy.